How to use Digital Options signals? Digital Options are a financial exotic option based on a yes or no question, hence, binary, where the trader can choose either a coin will be higher or lower respect another coin. If he is right he'll get a 70% payout, if he's wrong he loses the investment trade. HIGH Probability: Always with 10 minutes expiry. Few signals but quality entries, tested in long-term. Keeping our success rate around 85% - using ONLY ONE reentry - and thus generate a steady profit. HIGH 2x Probability: Always with 5 minutes expiry. The same HIGH entries, but with 5 minutes expiry and one more reentry. It is a better way to approximate the reversion of the price obtaining better results but with a greater risk due to use 2 reentries. 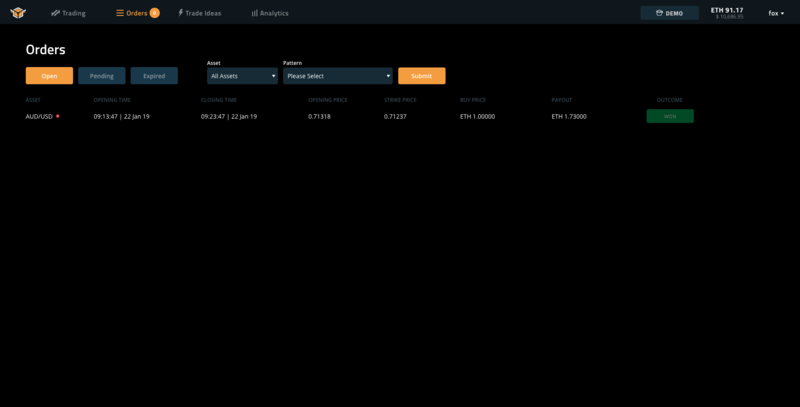 The following picture shows you how you will see the Digital Options signals in our platform. The real-time alerts are sent in your desktop platform and in your desktop smartphone. 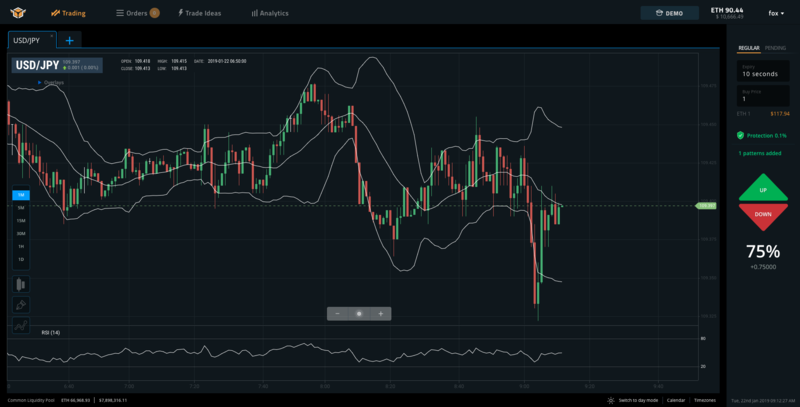 This article shows you how to copy the signals manually, once Spectre.ai has its own API we will automate the process, so Auto Trading has also its Digital Options version. 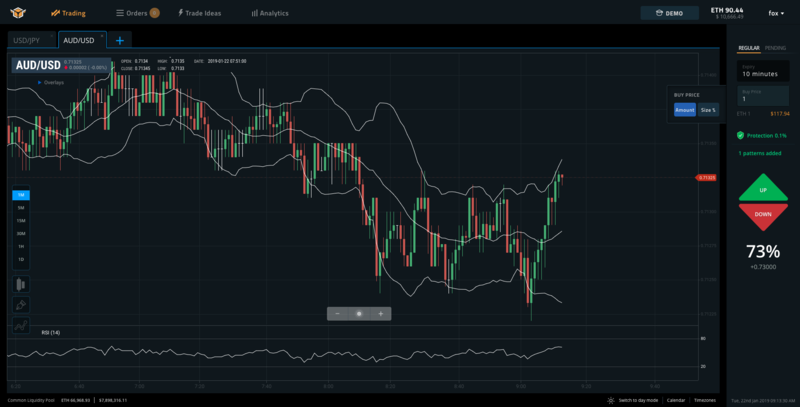 Although you are free to decide which broker you want to use to copy the signals, we recommend you to use Spectre.ai as they have our confidence due to its transparency and professionalism. 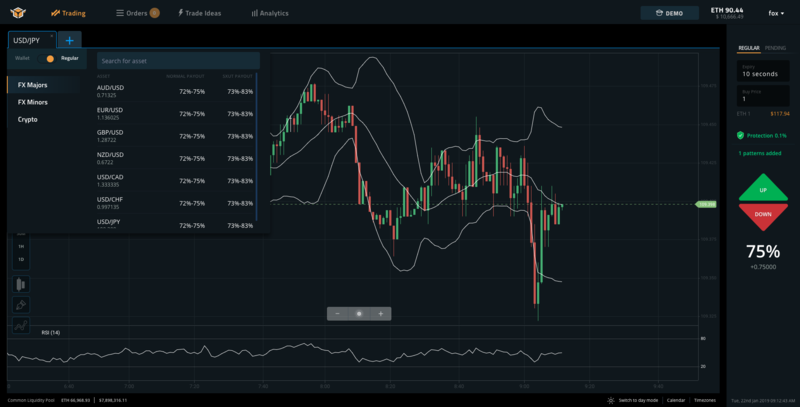 Spectre.ai is the world’s first broker-less financial prediction market blockchain platform built on the Ethereum blockchain with a built-in decentralised pool of liquidity. 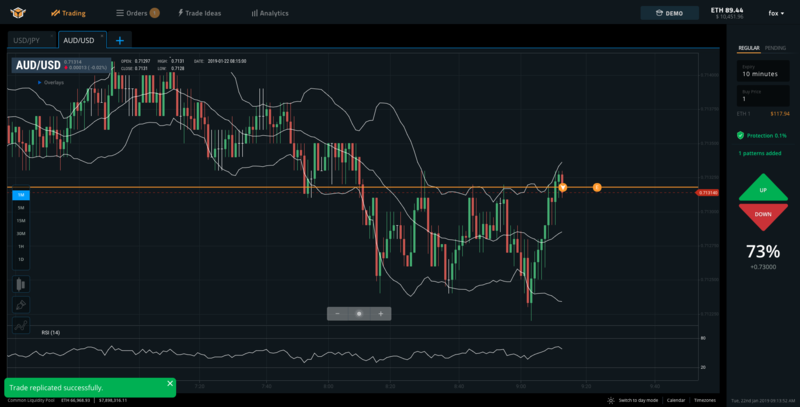 You can read more about our partnership and exclusive benefits for all Fox Trading users in this article. How to trade Digital Options? Now we are going to see an example of how to use our digital options signals. First of all, to receive our Trading signals you have to hold 1,000 FOXT on the platform. You are going to receive the signal on your mobile device and your desktop platform. Download App for iOS and Android. Once you have signed up on Spectre.ai, open the platform, it will look like the picture below. 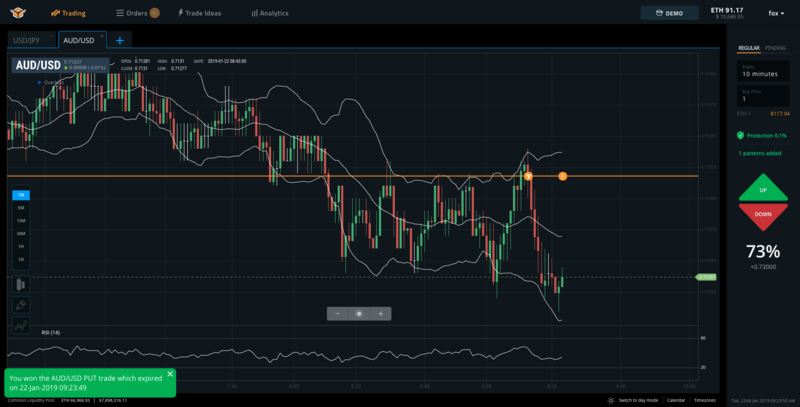 On the left side of the platform, click on the plus button and select the currency pair as it is indicated in the alert sent by us, in this case, AUD/USD. The alert also indicates the time that has to be set up. In this example says 10M, so in the right panel of the platform, we click on 10 minutes. The amount/size of the trade is up to you. Just below the Expiry time is where you choose it. Click on the Up arrow (Call) or Down arrow (Put) according to the alert indications, in this case, it says Put, so we click on the Down arrow. 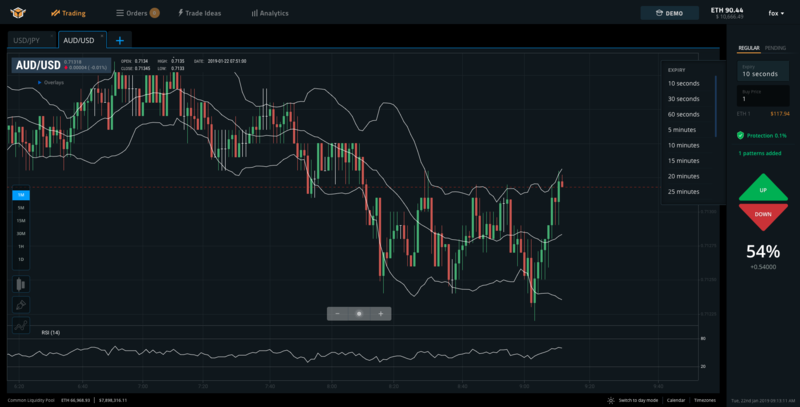 As you can see on the notification that appears at the bottom of the platform, the trade has been won as we have followed the alert indications. Click on Orders and then View all to see all your trades. How to set up Trading Signals? How does Signals service work?